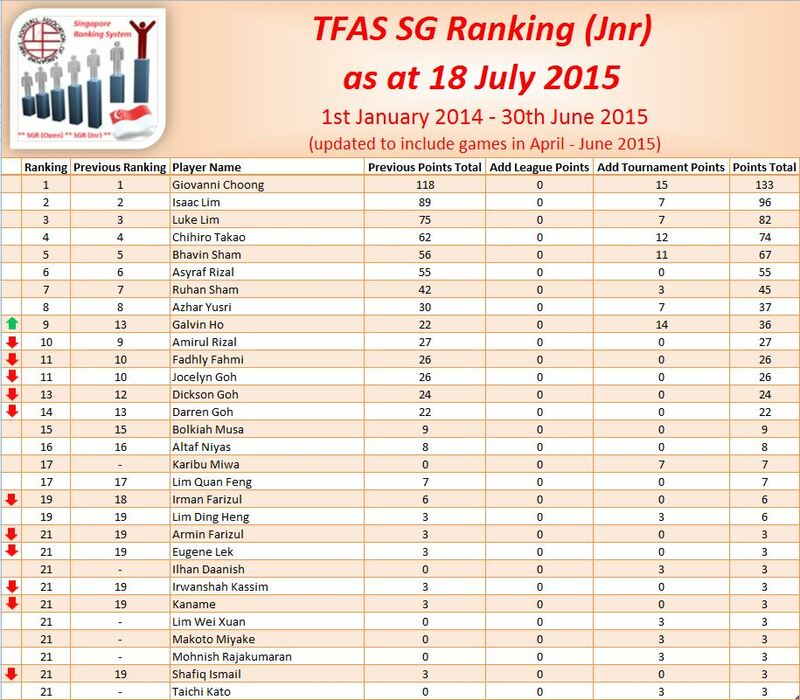 With the conclusion of June’s TFAS National Championship, Den Mulia Yusni maintains his pole position at the top of the latest SG Rankings!! Congratulations Den Mulia!! 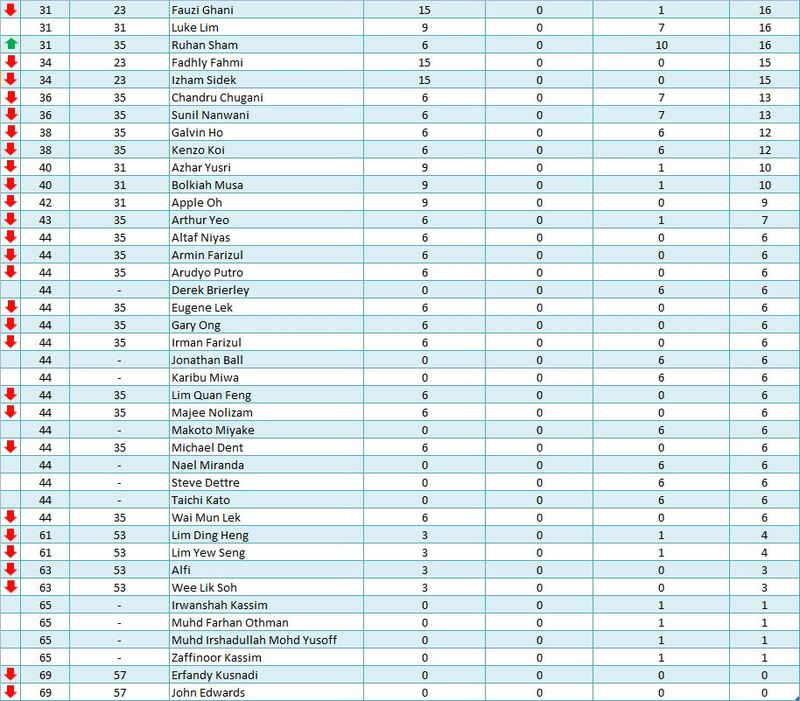 In the SGR (Jnr), Giovanni Choong, Isaac Lim and Luke Lim remain respectively as the Number 1, Number 2 and Number 3 ranked Junior players in Singapore!! Congratulations Giovanni, Isaac and Luke!! Well done boys!! 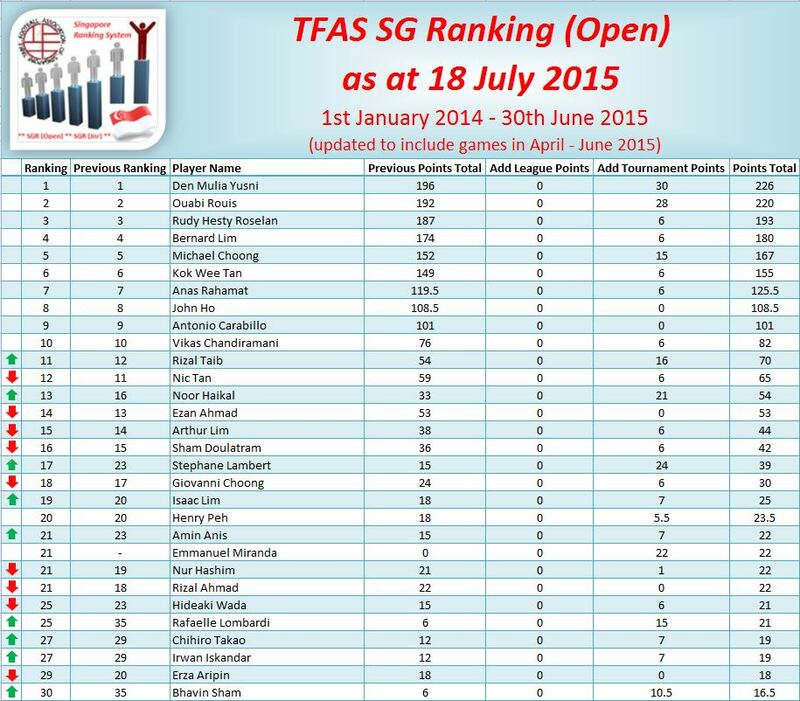 TFAS Merlion Cup 2016 … Registration is opened ! !